As you may or may not know, Marji Guyler-Alaniz and the rest of the FarmHer crew came out to the ranch last spring. They spent a rather stormy morning with me and the animals. And today is the day I have been waiting for since then! My episode is on RFD-tv. To say I am massively excited, is an understatement. Please tune tonight, Fridays at 9:30 p.m. EST (encore Saturdays 11 a.m., Sundays at 9:30 p.m., and Wednesdays at 8 a.m. EST). Do you remember last summer when I posted the blog about my friends in the band Cold Blue Mountain? When they made a video and let me cook AND be in it? So.much.fun. Beef, beer and bikinis! They did it again! You see NPR is having a contest – the winner gets to play in the NPR’s Tiny Desk Concert Series, so CBM took the plunge and entered! Guess what? 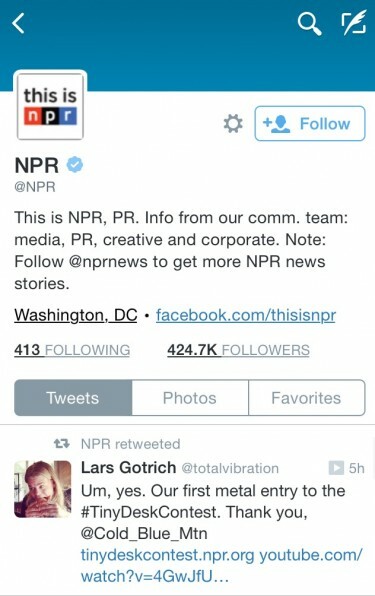 NPR even tweeted at Cold Blue Mountain, it was pretty exciting. They were the first metal entry and actually made it on NPR’s music page! Talk about fame! I mean, I know I am super bias, but I think they should win (if they do win, I am so leaving the ranch to go with them I can watch! (they don’t know that yet, so shhhhhhh)). Even if they don’t win, they are still doing some pretty exciting stuff! 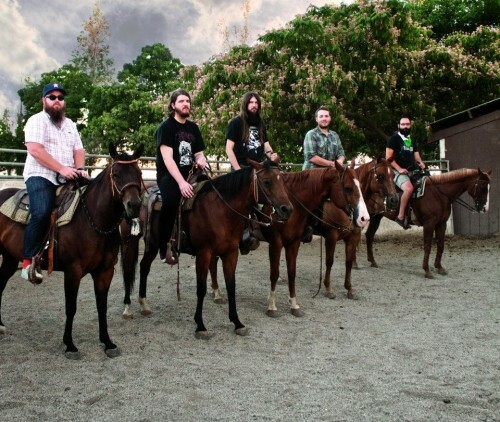 They are about to embark on huge tour! They are leaving the safe and warm embrace of Chico, California to share their musical talents with most of the United States. I am so excited for them, but kinda bummed that they are going to be gone so long! I’m going to be lonely. If you get the chance, I recommend you catch a show! Or at least go hang out with them. Despite this being pretty heavy screaming music, these are pretty much some of the nicest guys ever. Plus I worry about them and will need updates to make sure they are doing well, washing their socks, underwear and beards.